Meeting new people can be nerve-racking enough at the best of times. But if you’re worried about your breath, attending a work conference, wedding, or social event can cause anxiety levels to soar. Fortunately, there are long-term solutions that can help you banish bad breath once and for all. • Smoking – Using tobacco products leaves a foul smell in your mouth and encourages the growth of harmful bacteria that can cause tooth decay. Smokers are more prone to gum disease and dry mouth, both of which can cause unpleasant mouth odour. • Poor dental hygiene – Failing to brush and floss regularly causes plaque to build up in your mouth. Accumulation of bacteria in the back of the throat and food particles between the teeth produce the foul-smelling gases associated with bad breath. • Dry mouth – You probably notice that your breath smells worse first thing in the morning. This is because your mouth dries out during the night while you sleep. You need saliva to clean the mouth and remove food particles that can cause odour. Chronic dry mouth is known as xerostomia and can occur due to issues related to salivary glands, stress, cancer therapy treatments, and autoimmune disorders. • Oral infections – Tooth decay, gum disease, and mouth sores may cause foul smells, and persistent bad breath may be an indication that you have a dental issue that requires treatment. • Food and drink – Some types of strongly flavoured foods, including onion and garlic, can make your breath smell. As well as lingering on your tongue, they contain sulphuric compounds that are absorbed into your bloodstream and emit a bitter scent from your pores. • Maintain an effective oral hygiene routine – Brush and floss twice a day, rinse with mouthwash, and brush or scrub your tongue to remove surface bacteria that can cause bad breath. Make regular appointments with your dental hygienist for a thorough cleaning. Park Dental Care dental therapists Claire, Karen, and Christina offer both preventative and cosmetic hygiene treatments that are available to you even if you are not currently registered with a dentist. • Keep your mouth hydrated – Drink water throughout the day to rinse out food particles and bacteria that can cause bad breath. Avoid foods and drinks that can cause dry mouth, such as alcoholic or caffeinated beverages, and spicy, salty, or sugary foods. • Avoid tobacco products – Bad breath is just one of many reasons to give up smoking. In addition to gum disease and dry mouth, smokers are also at a higher risk of developing oral cancers, heart disease, and lung disease. • Visit your dentist – If you suffer from persistent bad breath, a visit to your dentist is essential so that he or she can investigate whether you may have an underlying issue such as gingivitis or periodontitis. 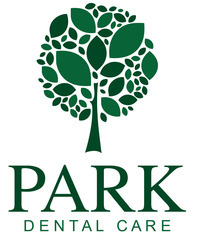 The dental team at Park Dental Care offer personal, compassionate service to their patients and will ensure that you receive the best possible care. 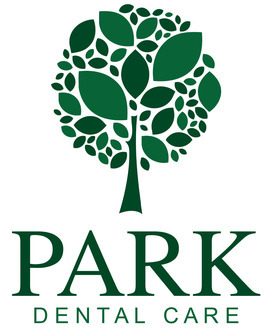 To schedule an appointment, contact one of our friendly team members at Park Dental Care today. We look forward to your visit.